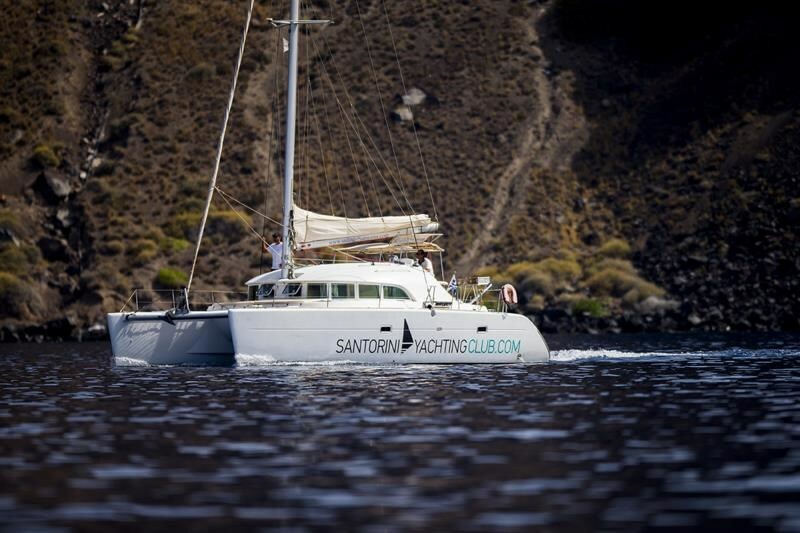 Start your sailing adventure from the traditional port of Ammoudi, let us unravel for you the hidden treasures of Santorini. First stop at the Volcano and Hot Springs for approximately 30 minutes; enjoy a swim in the therapeutic waters. On the way back, soak up the dramatic views of the Caldera rim. 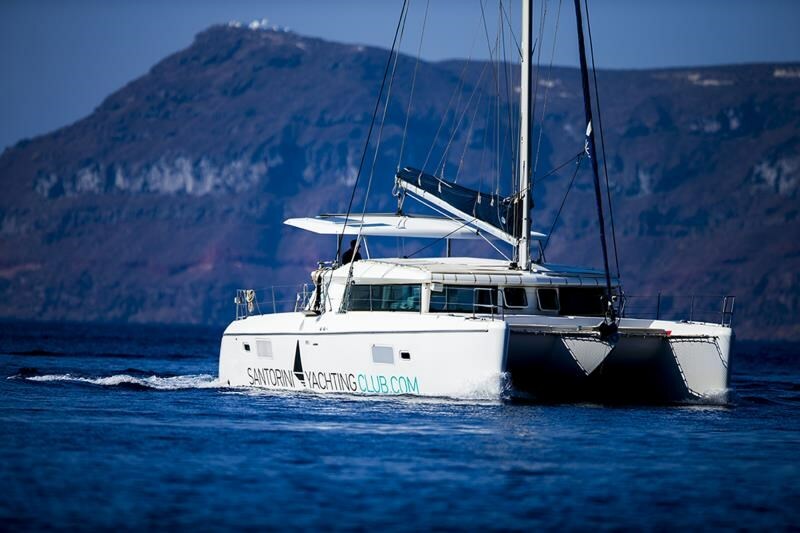 Second stop, at the White Beach and Mesa Pigadia for approximately 60 minutes where you can relax, swim or snorkel while we are preparing a Greek cuisine inspired BBQ on board. We continue sailing in the Aegean blue waters moving across the Indian Rock & Venetian Lighthouse with cinematic landscapes ideal for photography and video. Third stop, the famous Volcanic Red beach for swimming and snorkeling for approximately 30 minutes. Disembarkation will be at the traditional Vlychada Port. - Open Bar with Santorinian wine, Geerk Ouzo, Beer, Juice, Refreshments and Water. - Sail across the Caldera. - Swim at the Volcano - Hot Springs, Red Beach and White Beach. - Enjoy a full BBQ on board. - An Experience of a Lifetime. * Please indicate your site of residence/accommodation on the Island at the comments section, for your transportation arrangements.